Emmanuel Levinas has come to be regarded as one of the most significant figures in twentieth-century European philosophy. 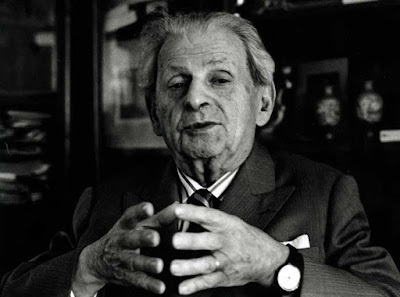 Initially seen as an obscure popularizer of phenomenology, Levinas is now widely admired for his original philosophic writings on the encounter with “the other,” his place in post-Holocaust Jewish philosophy, his influence on Derrida, and his powerful claims about the importance of ethics for philosophy and for human life generally. The past several years have seen an explosion of interest in his thought. Critics have charged, however, that his philosophy is seriously flawed by his failure to convey his understanding of ethical responsibility in a practical ethical theory. Emmanuel Levinas on the Priority of Ethics: Putting Ethics First defends Levinas against this criticism. In doing so, it develops an interpretation that stresses Levinas’ sensitivity to the urgency of acting to help those who are vulnerable. The book departs from trends in Levinas scholarship. Many scholars emphasize Levinas’ epistemological claims about the incomprehensibility and inexpressibility of the relation to the other as the foundational theses of his philosophy. By contrast, Emmanuel Levinas on the Priority of Ethics shows how he reaches them based on a subtle analysis of the practical demands involved in recognizing responsibility for others. The book argues that Levinas is best read as pragmatic thinker, one who, above all, is concerned to stress the importance of practical effectiveness in serving the other. Finally, the book shows how his understanding of responsibility can be expressed in practical ethical theories given this pragmatic interpretation. This book is an important work for Levinas scholars, particularly those interested in his relevance for contemporary ethical debates and for social and political philosophy. The book develops an interpretation that avoids jargon, and new readers as well as readers interested in placing Levinas in dialogue with Anglo-American philosophy will find it a useful resource. The book’s efforts to situate Levinas in relation to issues in analytic ethics, such as Rawls’ theory of justice and debates over moral realism, will be of particular interest to the latter.